Three Point have been producing and installing the iconic Giant Coffee Cups since 2009, helping boost the ‘take away coffee’ industry along the way. These cups now feature at most major petrol forecourts as well major retail chains across the UK and Ireland. 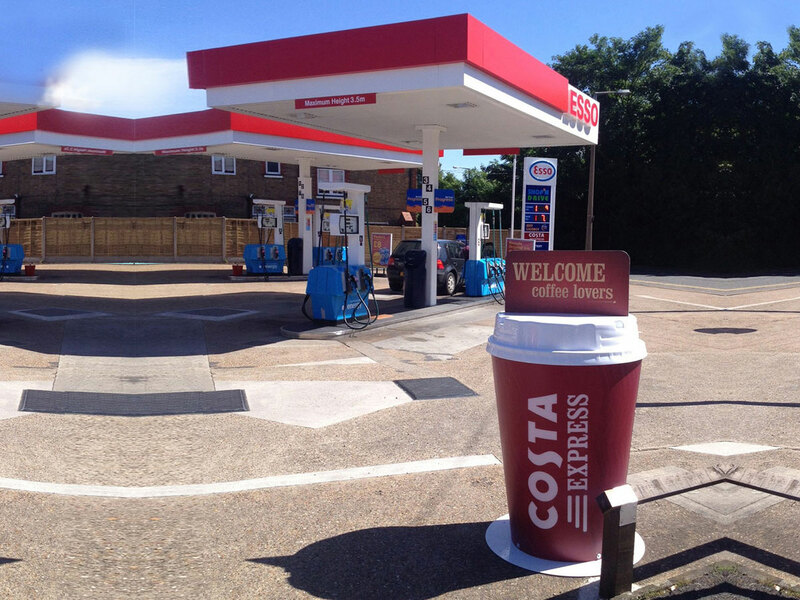 Its fair to say that it is almost impossible to take a car journey in the UK without spotting a Costa Express Giant Cup. The design is very simplistic and acts as a long term sign post for the Costa Express brand. Such has been the success of our cups, Three Point have produced and shipped to countries around the world, including Canada & Poland.